Whether you’re feeding 10 or 1000, or even more, you can count on TickleMyRibs to make your event a success. 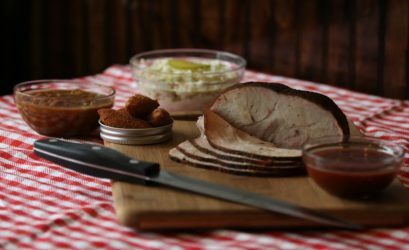 You just can’t go wrong with our selection of in-house hickory wood smoked meats, delicious Southern sides, and made-from-scratch seasonings, rubs, and sauces. Our catering and bulk delivery is available 7 days a week – and, with advance arrangements, 24 hours a day! 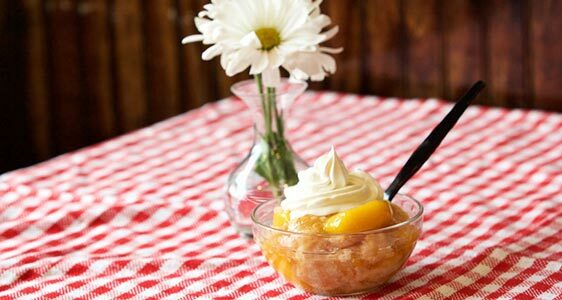 We have three ways to serve your event. Choose the one that best fits your needs! You come to the restaurant at a specified time, where we will have everything packaged hot and ready to serve! Need to pick up in advance? We will package your food cooked and cooled with reheating instructions. Let us bring your food to you. 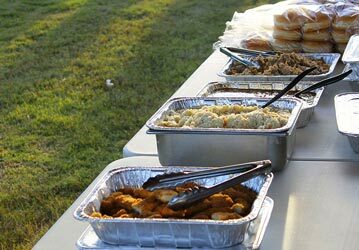 Our catering specialist will deliver your meal to your event location in disposable foil pans. We will set up everything in the location of your choice. When you and your guests are finished eating, simply throw everything away. Don’t lift a finger! Our experienced catering team will deliver and set up your food in the location of your choice. We will serve your guests and clean up when everyone is finished. We also offer a private dining area with seating for up to 30 people, complete with a 48″ large screen TV and patio access – just call ahead to reserve it for your group! So take the hassle out of large group planning – we’ve got you covered! Got an idea for something that you don’t see listed? Give us a call – we have worked with many people on custom orders, and we’d love to work with you to make your vision a reality. Special pricing and fundraising options available for non-profit groups – contact us for more details! Sweet Tea, Serving Utensils and Paper Products. Bags of ice available for 2.00 each. 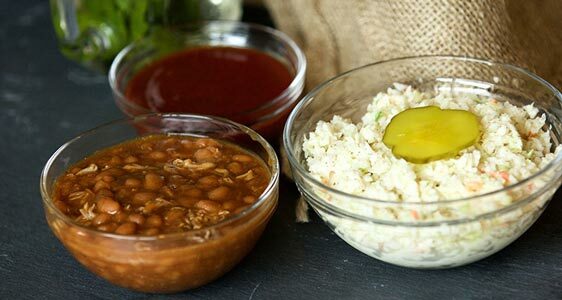 Each Box Lunch comes with your choice of Coleslaw, BBQ Slaw, Potato Salad or BBQ Beans. Includes TMR Signature Sauce, Bun, Bag of Chips and Utensils in an individual box. Minimum delivery 100.00 (delivery charges may apply). 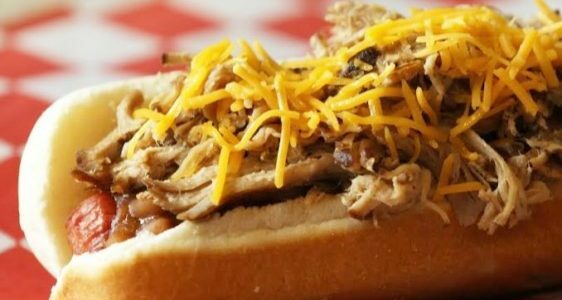 All packages come with Buns or Dinner rolls, TMR BBQ Sauces (Signature, Eastern, Western, SC Mustard), Sweet and Unsweet Tea, Paper Products and Ice. 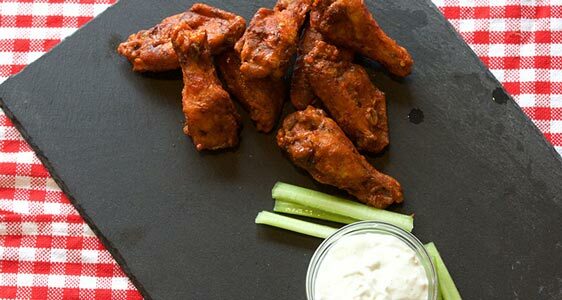 Wing platters served with celery and Ranch or Blue Cheese. Tenders served with your choice of dipping sauce. 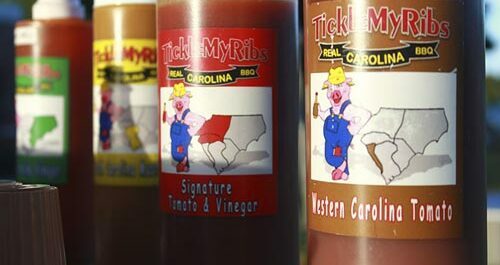 Both available Plain, Sweet & Smoky, Carolina Gold, Signature BBQ, Buff-a-Q, Mild, Hot, Sweet Heat, or Habanero. 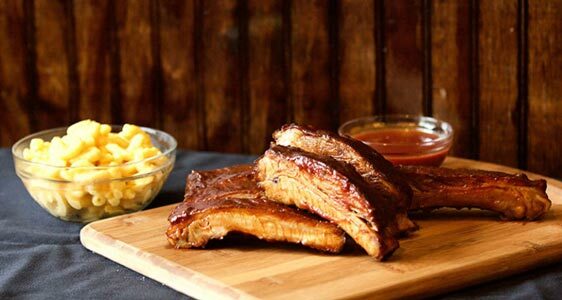 Our ribs are dry rubbed, hickory smoked, basted with Western BBQ sauce, then served topped with Signature sauce. Choose up to two dressings: Ranch, Honey Mustard, Blue Cheese, 1000 Island, and Fat Free Italian. Add 4.99 per pint of additional dressing. Larger portions may be added to any package for an additional cost. Made up your mind? Call now to place your order with our friendly team. *All package pricing based on the following serving sizes per guest: Meats – 3-4ppl per lb. Sides – 4oz pp Beverages – 8-10ppl per gal. Larger portions may be added to any package for additional cost. *Delivery fees apply and vary according to mileage. Travel distance is calculated using Google Maps from our location to yours. 20 miles of travel (roundtrip) is included in the delivery/setup fee. Roundtrip travel over 20 miles will be billed at a rate of $1/mile. Additional charges may apply for certain locations and full service catering events outside of our area depending on the number of service staff required. Gratuity of 18% is added to all full service catering packages.